In an email sent to the student body Friday, Chancellor Patrick Gallagher warned Pitt students that if the state fails to pass appropriation bills that fund state-related universities, our school will face serious consequences. But this merely demonstrates the broader issue at hand. The state has yet to pass a revenue plan to fund the budget, and with deadlines approaching Sept. 15 — including $1.5 billion due in Medicaid payments — Gov. 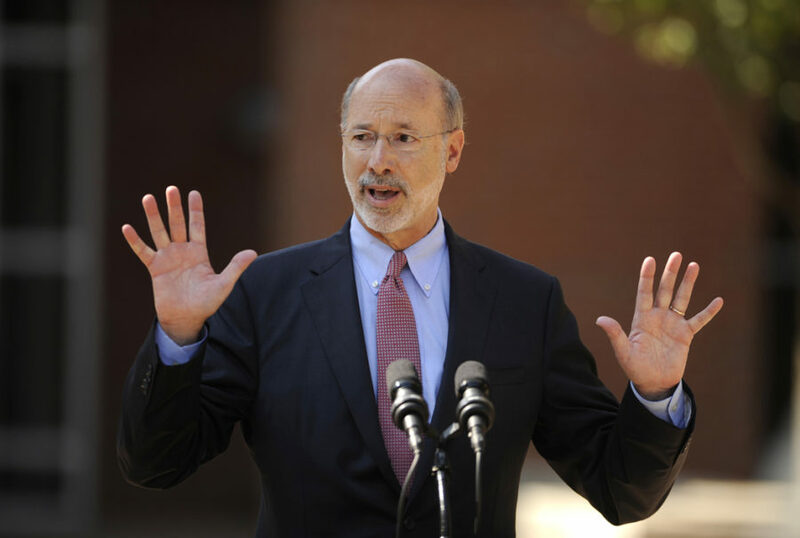 Tom Wolf could be forced to make sweeping cuts across the state. And the proposed plan in the House doesn’t offer much hope. Essential human services funds like public transportation and volunteer fire departments are in danger — threatening the livelihoods of all of Pennsylvania’s citizens and the future of the commonwealth. During the House’s meeting yesterday — its first in seven weeks — representatives failed yet again to reach a consensus on a balancing plan. The state Senate approved a funding plan in July independent of the House that introduces new borrowing, casino gambling expansion and utility service taxes. In contrast, a new plan on the House floor threatens broad cuts instead of tax expansion. The Morning Call reports the proposed GOP House spending plan would cut $507 million from mass transit, $440.5 million from hazardous waste cleanup and conservation efforts, $65 million from 911 improvements, and $26 million from health, substance abuse and job training endeavors. This all would happen without any increase in taxes, and the result would be chaotic. To put the disastrous consequences of the proposed spending plan into perspective, PublicSource reports that the Port Authority would face an $80 million loss of operating support — which could force the Authority to cut their services. Pittsburgh’s nearly 200,000 daily riders would lose half of all currently operating bus routes, as well as evening and weekend service. And cuts of this magnitude across the board would have even further-reaching consequences that could put the future of the state in jeopardy. The budget impasse is nothing new — year after year Republicans and Democrats in the legislature put the state on the brink of disaster trying to figure out how to pass a balanced budget. At this point, Pennsylvania must consider solutions that don’t involve sweeping cuts to essential services. For example, Pennsylvania Auditor General Eugene DePasquale believes the legalization of recreational marijuana could produce up to $200 million in additional revenue for the state that would come at little cost. But even $200 million isn’t enough to cover what’s due on Friday. The state needs a plan, and it needs one fast. Regardless of where extra revenue could come from, it’s far too late into the fiscal year for our politicians not to recognize the urgency of the budget plan. Whether it’s state-related institutions or public transportation, cuts to human services will directly affect each and every one of us — and our representatives will be entirely responsible.